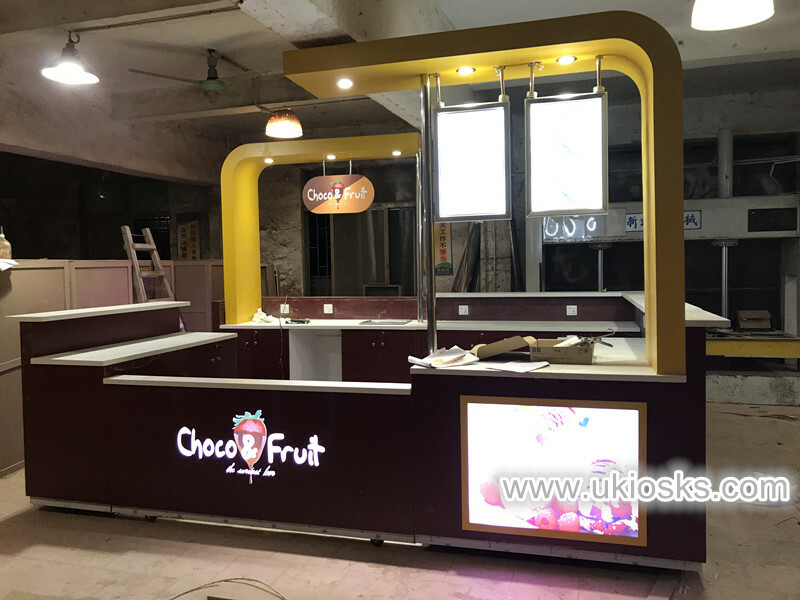 hello my friends , today i wanna share you a style ice cream display kiosk , it is very bright and attractive , 2 kind different orange color match , look like very comfortable , kiosk with top frame to put customer logo , TV , menu light boxes . 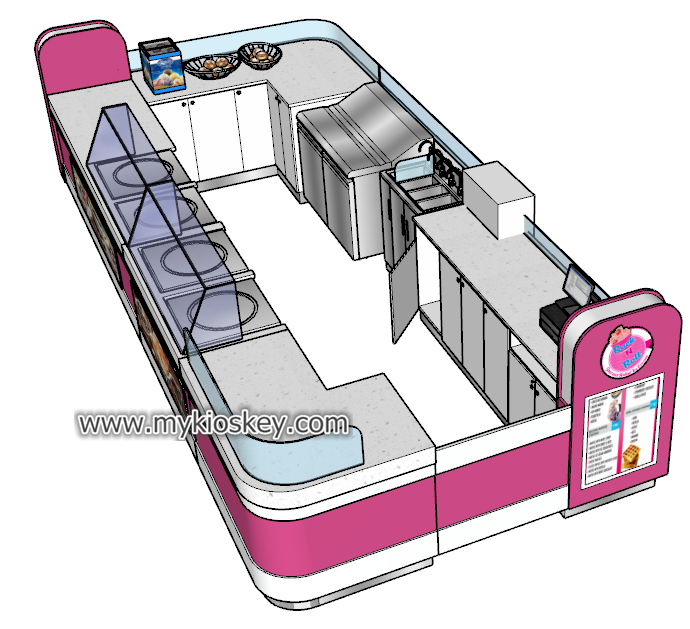 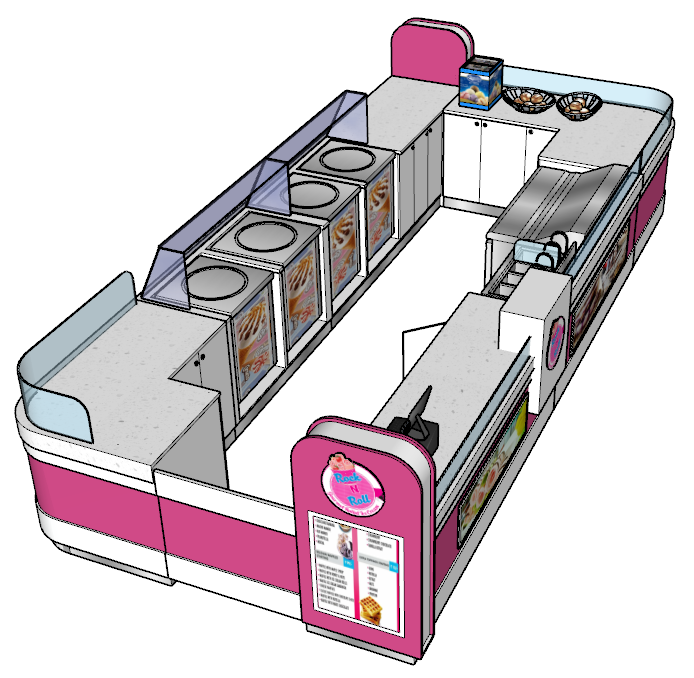 body body front have flavor container and crepe machines and back is sink and another some equipment . 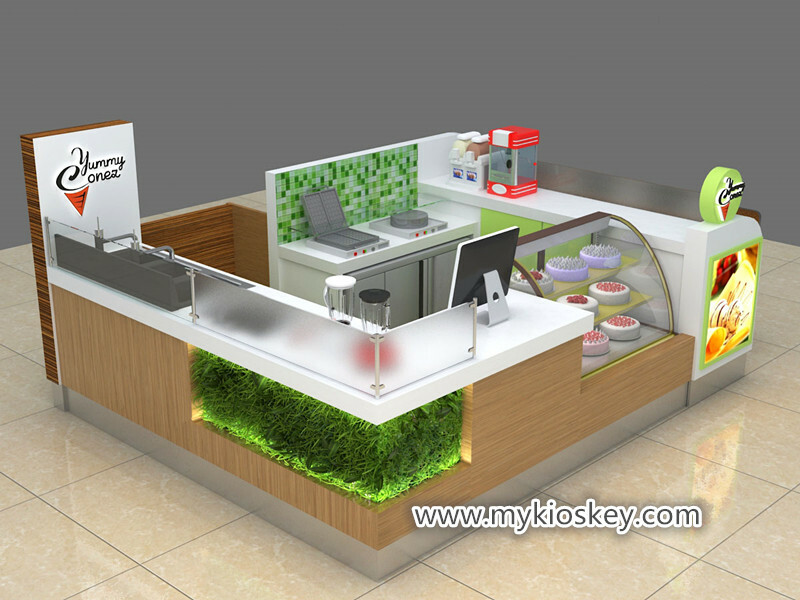 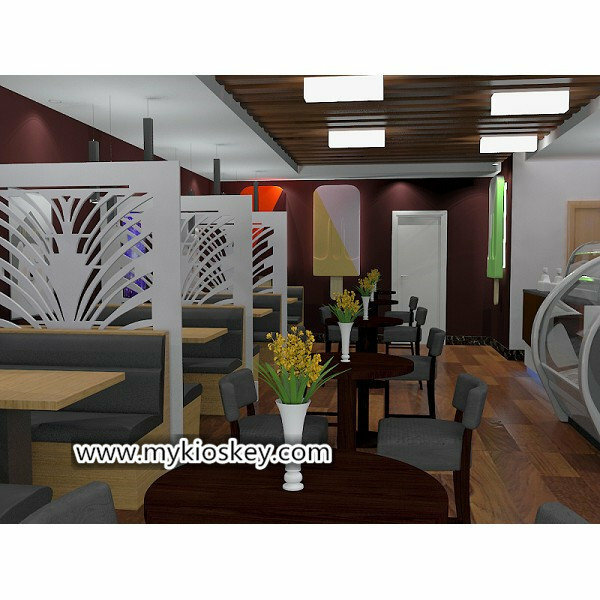 both side of kiosk all have eating seating bar with high bar chairs. 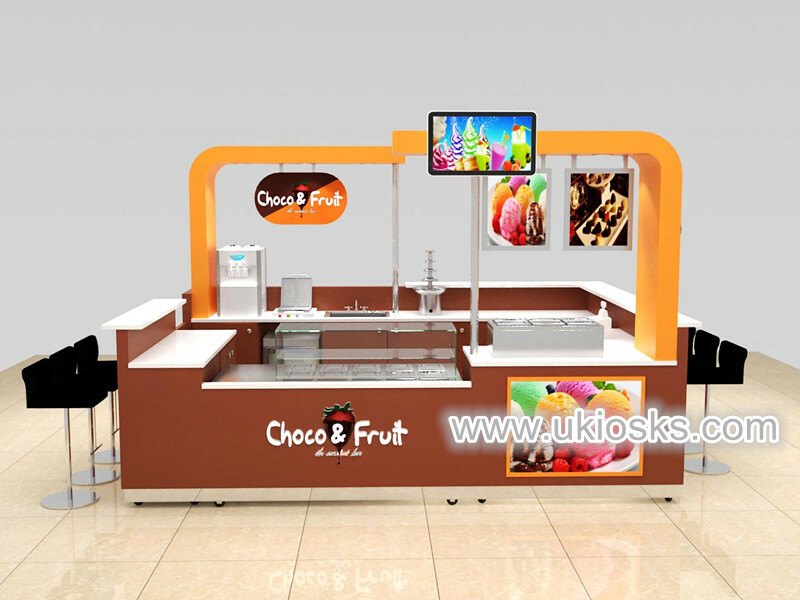 front of kiosk we put customer logo and beautiful light boxes posters , looks like very nice. 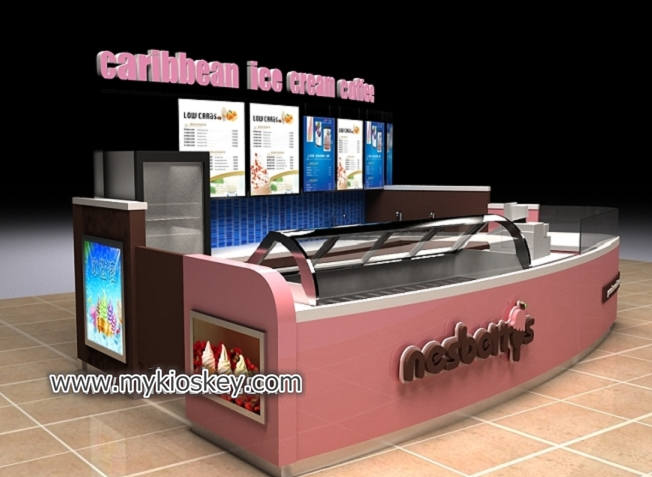 real production photos , you can have see our quality . 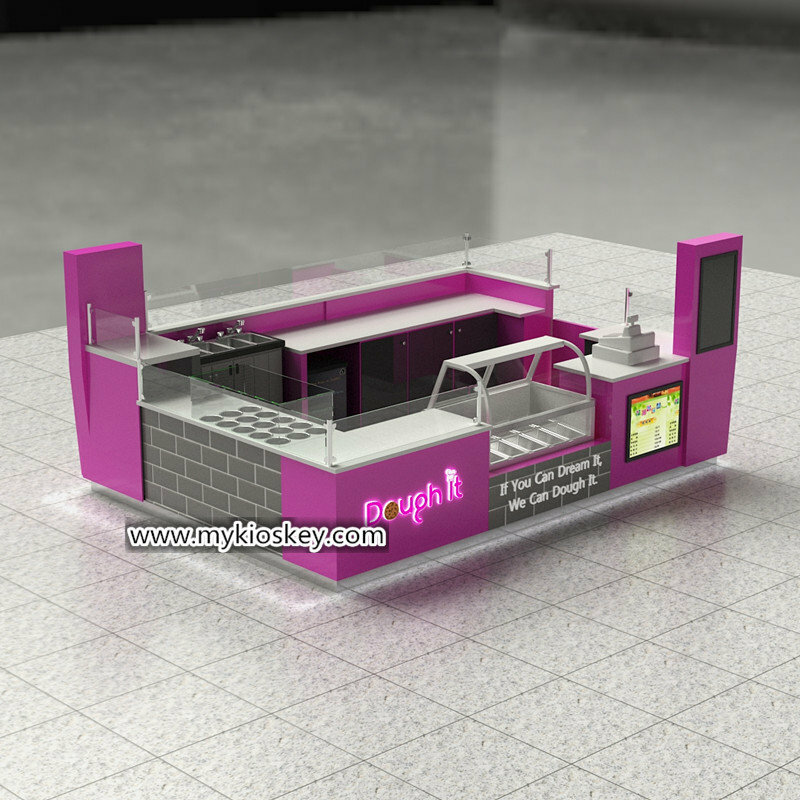 from back side reviews , you can see back also have seating bar , back wall with big big logo . 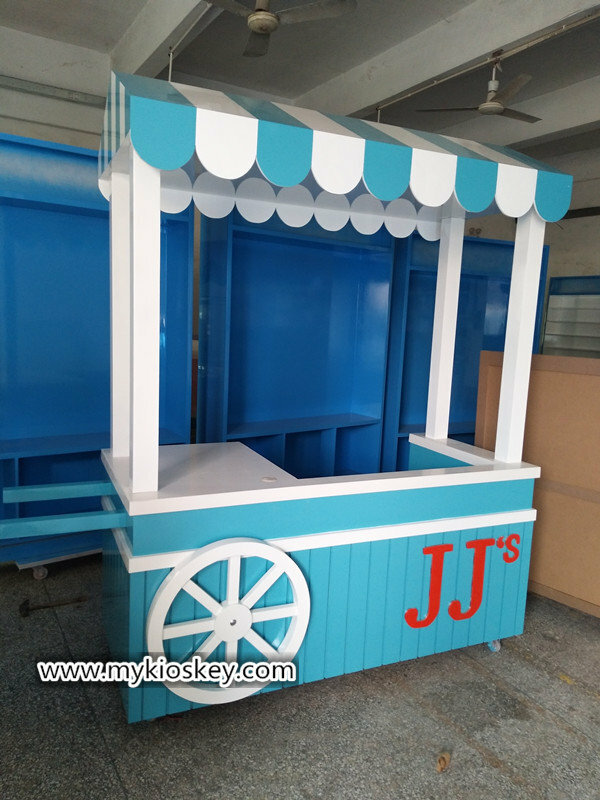 if you are careful , you can see whole kiosk with mobile wheels . 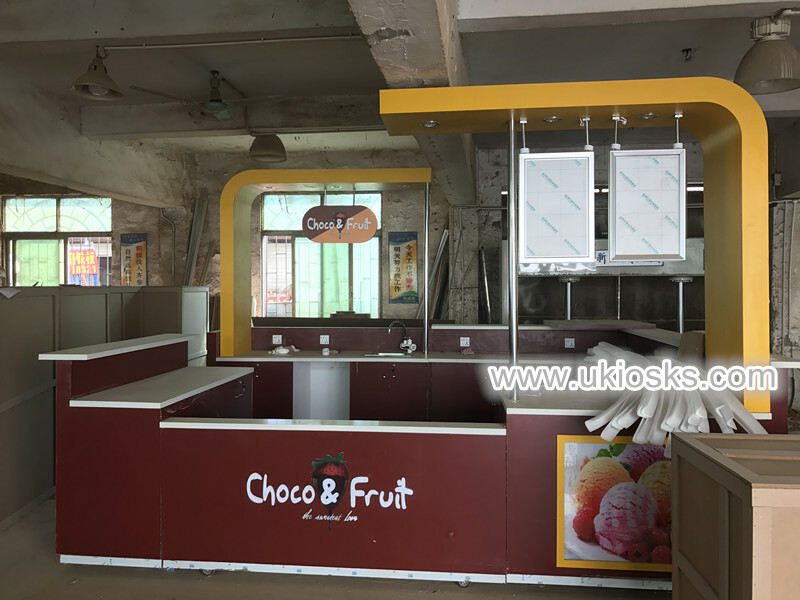 yes , the customer will change location in the future . 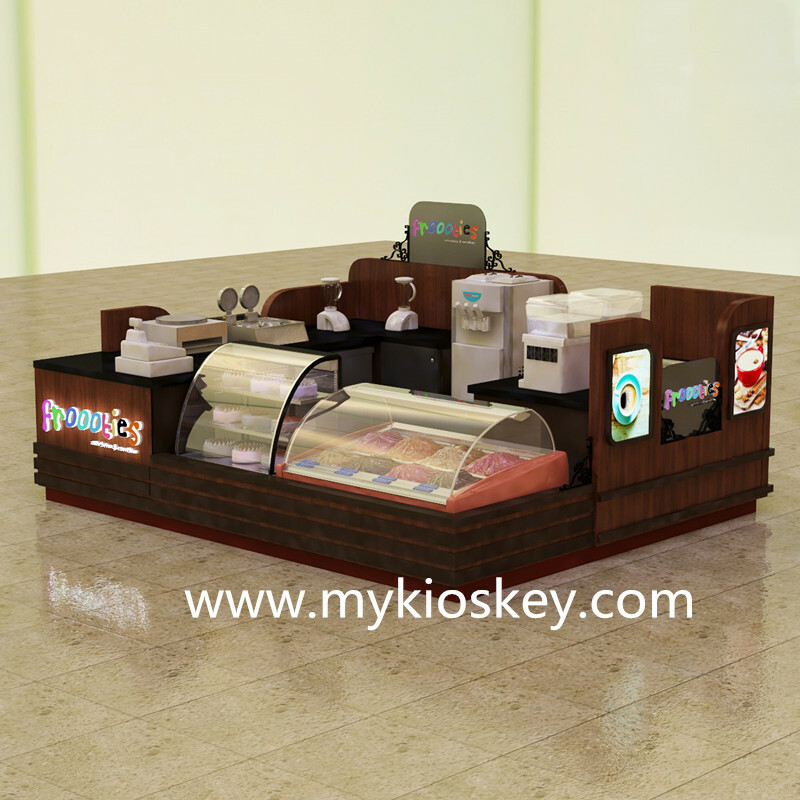 i like this kiosk very much , do you like it ? 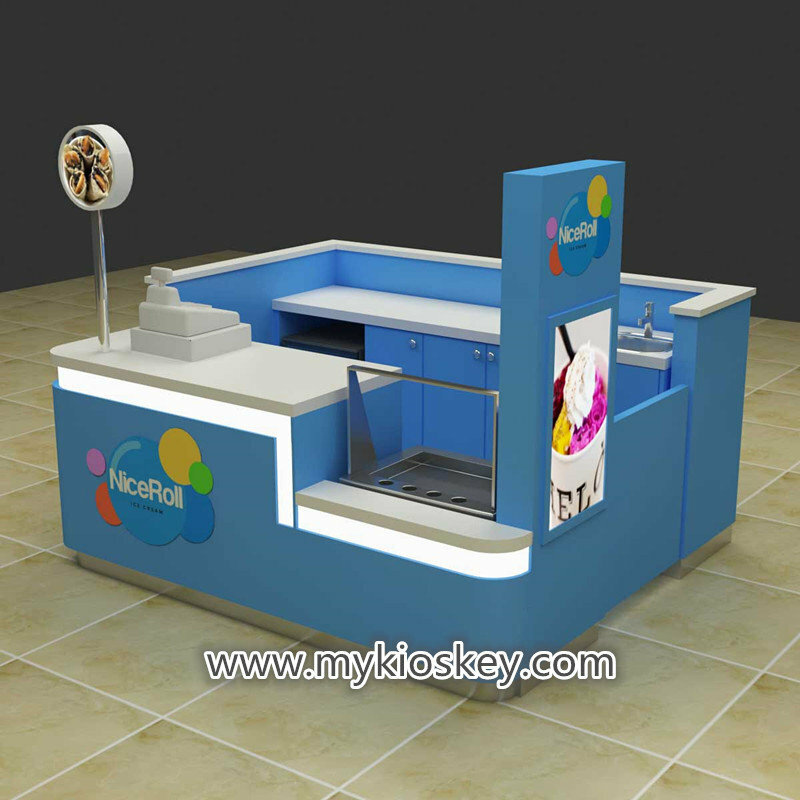 we can customized kiosk based on your ideas . 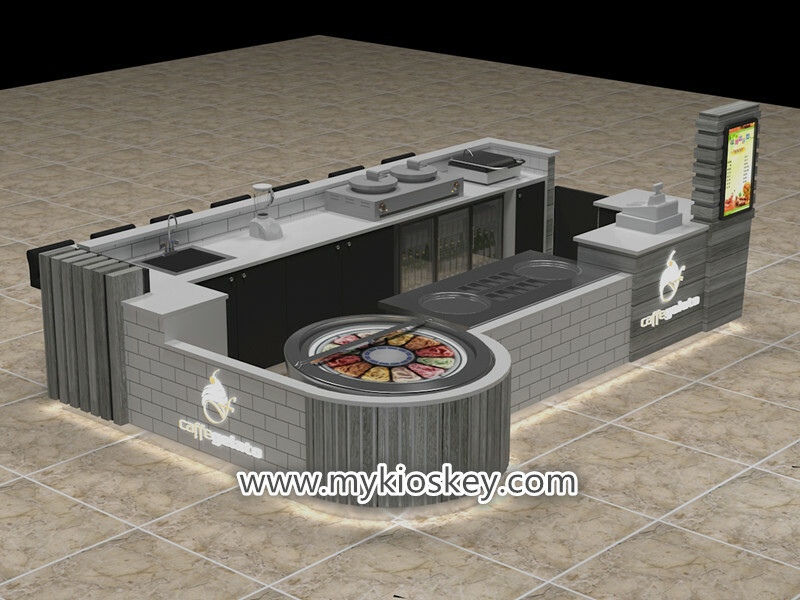 we are real factory and will provide you competitive price and better service ,just join us .